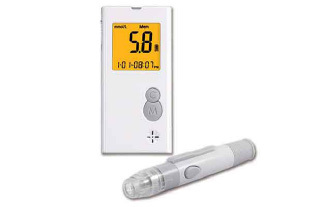 A Blood Glucose meter for the All-in-One Health Monitor. The all-in-One is a convenient and portable device with which the user can measure, store and share Blood Pressure, Oxygen Saturation, Heart Rate, Temperature, ECG and Blood Glucose data. Widely used throughout various clinical settings and patient homes.